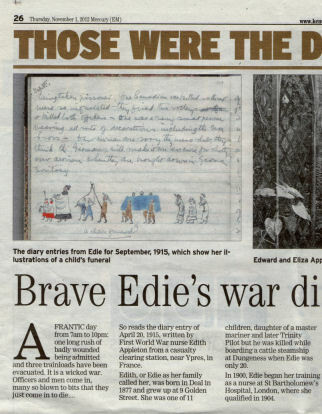 Thanks to Deal-based writer Judith Gaunt for her article about Edie's diaries in the 1 November 2012 edition of the East Kent Mercury newspaper. You can see it here below - best by clicking first on the left side of the image below and then on the right side. You can then click a second time to enlarge further. Hope that makes sense. 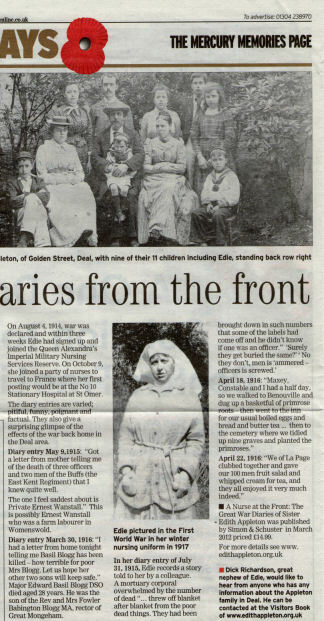 There is another page about Golden Street in Deal here: http://www.edithappleton.co.uk/Deal/golden_street.asp. 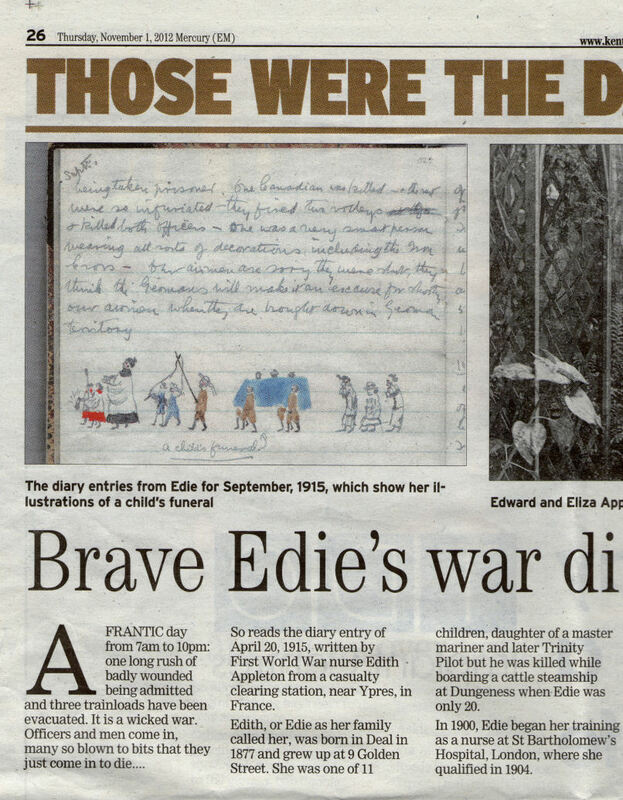 If you can add anything about the Appleton family in Deal do leave us a message in the Visitors Book.